This story started last year, or maybe the year before. We have been fighting the seemingly losing battle with keeping the birds out of the attic of the new house. This fall Ed worked very hard to get this done. Yippee! it's done. Birds and bats will not be taking up residence in our attic. At least they are really going to have to work if they want to move in. We're Getting Closer Every Day. Now Ed has also completed the kitchen gable. 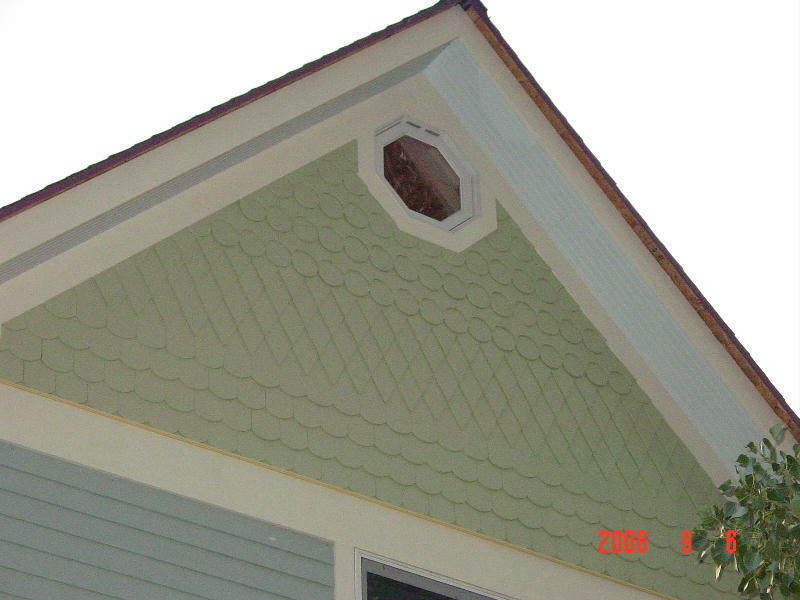 The same but different design from the front gables. The front gables were done in an octagon pattern, The kitchen has been done in a hexagon pattern. The kitchen gable has been the easiest gable to complete. Note, there are no windows or extra trims to deal with. That could help explain why this end of the house could be completed so quickly. Regardless of all that, it has been very exciting to see all this done. Ed is currently working on the last two gables. The South Bedroom will be done in several different designs. A couple rows of zig zag, then some others. I wanted to let you see some of our Montana improvising. Ed needed a scaffold to reach up to the peak of the South bedroom and our home built scaffold just didn't get him high enough. Hence the Bobcat with 2 ladders and a plank on the ladder jacks. Looks kinda scary, but it did the job. The last gable end was the Library. 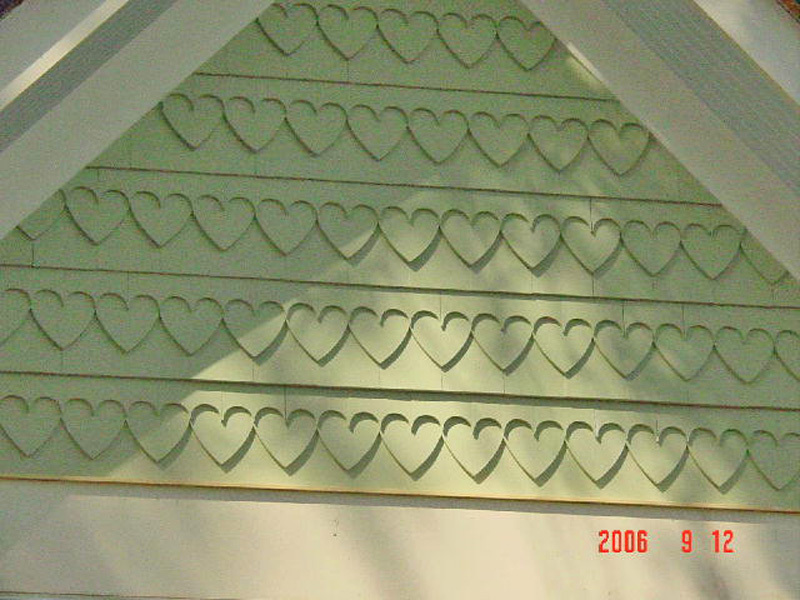 Ed did that gable in a heart design. You can kinda see why this house is taking so long to complete. Seems like everything on this house is a big job. If it didn't look so great we could have been tempted to go with a basic house. Not Ed though.